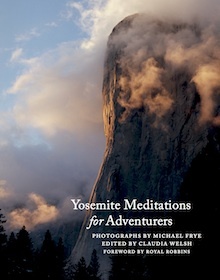 The spirit of adventure is alive and well in Yosemite and in this collection of stirring quotations and spectacular landscape photography. Created to inspire readers to reach for new heights, this pocket companion captures the sense that something wondrous is waiting out there. The legendary Royal Robbins provides the foreword, and renowned climbers, mountaineers, travelers, and writers such as John Muir, Edward Abbey, Bill Bryson, Cheryl Strayed, Sir Edmund Hillary, Lynn Hill, Ron Kauk, Peter Croft, and Galen Rowell, among others, add messages that prompt delight and reflection.